How do you Inject Natural Light into a Property Whilst Maintaining Privacy? The InfiniLIGHT roof light is an exceptional product that can inject natural light into a London property whilst maintaining privacy away from neighbours or nearby properties. Offering maximised light emittance, both night and day, the InfiniLIGHT lets you enjoy the sky above without obstruction. The frameless design features a full thermal break, making it a sound investment for any development and suitable for a range of property types from modern and contemporary to traditional and conventional. Promoting good health and mood, roof lights are the ideal solution. Creating unprecedented insulation levels, you can add the InfiniLIGHT to a property that requires high-end and elegant design coupled with high performance functionality. Creating an unlimited view of the sky exhibits a feeling of freedom and openness that other roof lights simply cannot provide. If the property or development you are working on is in a built up area or has neighbouring homes or buildings close by, the InfiniLIGHT allows you to increase the amount of natural light that enters a room without compromising on privacy. Installed on your flat roof, the lack of an angle prevents visibility inside of your property. Enjoy light flooding into a space with a frameless design that allows for views of clear blue skies or starry nights. The frameless design of the InfiniLIGHT exudes class and sophistication. With a frameless internal finish and flush glazed external finish, you’ll be impressed with the finished result. Designed for rapid installation, you can enjoy all of the benefits that this roof light provides immediately without delay. They are an effortless addition to a property, giving the space a sense of luxe and sheen. 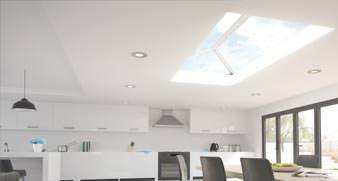 Adding a roof light to a property or project will increase the amount of light that enters the space and reduces the need for artificial lighting. Combining the InfiniLIGHT with soft and gentle spot lights or low lighting can effectively make a room feel spacious, light and airy. In the evening you can enjoy the added effect of moonlight streaming in. Roof lights appeal to businesses in particular looking to use a clean energy source. The roof light is a stunning focal point that draws the eye and is pleasing in aesthetic. The clean and neat design has slim sightlines, making it a versatile product that can suit a range of property types. There is also a walk-on glazing option for flat roofs, with light flooding into a space below. The InfiniLIGHT offers a unique look and feel for your London property, that won’t be found anywhere else. We create roof lights using advanced technology and premium quality materials resulting in a beautiful finish and a long list of features and benefits. With Arkay Windows, you don’t need to compromise on function over form, as our InfiniLIGHT roof lights deliver all of this and more. We pride ourselves on the high standards we hold for all of our projects and undertaking. Why Choose Roof Lights for your London Project? Our roof lights are a popular architectural addition for properties and projects in London, Woodford Green, Watford and the surrounding areas. With a swift and efficient installation, you can enjoy the effect of the InfiniLIGHT immediately, with added natural light and enhanced functionality. With a robust and durable design, our roof lights are able to withstand even the most adverse British weather, keeping the property warm and dry all year round. The InfiniLIGHT is adept at conserving heat, trapping warm air inside rather than letting it escape into the atmosphere. The InfiniLIGHT has exceptional performance with a U-Value from 1.0 W/m²K. It is also tested thoroughly for water tightness and wind resistance, passing all assessments before being installed onto a London property. You can select a glazing thickness from 24mm-60mm depending on your preference, with the maximum length at 3000mm and width at 2000mm. You can get in touch with us if you require larger dimensions for your project. 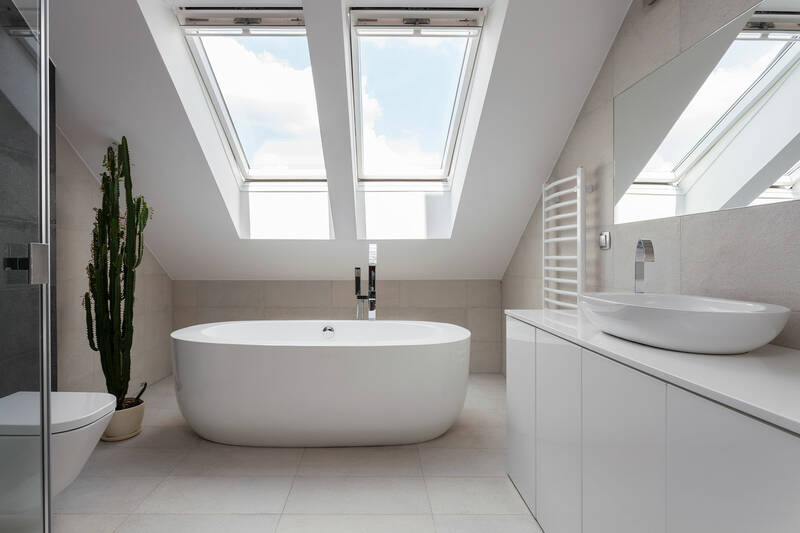 Adding a rooflight can transform the look of a property, adding a touch of luxury and unique design that lifts the look of the interior or a room as well as the outside. Make the most of the illusion of more space with an airy and bright environment that all of the family can enjoy. Whether you’re using the InfiniLIGHT in a residential setting or a commercial project, it is flexible and versatile in nature. At Arkay Windows we specialise in bespoke made products that are customised to your exact needs and requirements. You can tailor your roof lights in terms of colour, size and placement, for the ultimate end result. Enjoy the sky above with the InfiniLIGHT roof light product.